Invest in your career with the Navigation Assessor courses from The Nautical Institute. 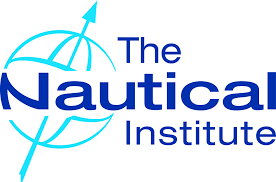 The Nautical Institute’s short courses are an intensive introduction to professional topics that will help ensure your organisation is operating at the highest level. They are designed to meet and exceed industry course requirements. Proudly we facilitate this course on 2 and 3 May in the Simwave simulation centre. This course explores key issues and provides practical advice on:– What defines an assessment- Improving safety and best practice- How to conduct the assessment with a systematic approach- Preparing an effective report. Award of the navigation Assessor’s Qualification is dependent upon successful completion of 2 phases. Part A, which consists of a theoretical examination to determine a candidate’s understanding of the course content. This exam is undertaken at the end of the two day course. Part B, Which consists of undertaking an actual Navigation Assessment and submitting a Navigational Assessment report for review. This report should closely follow the guidelines delivered during the course and contained within the presentation. Are you interested in this course? CLICK HERE for more information, prices and booking options.